Our resident techie, Collin, makes sure we always have what we need to keep our life support equipment (you know, smartphones, smart TV, Blu-Ray player, computer, Roku, and tablets) functioning because we can't live without them. At least that's how it feels sometimes. 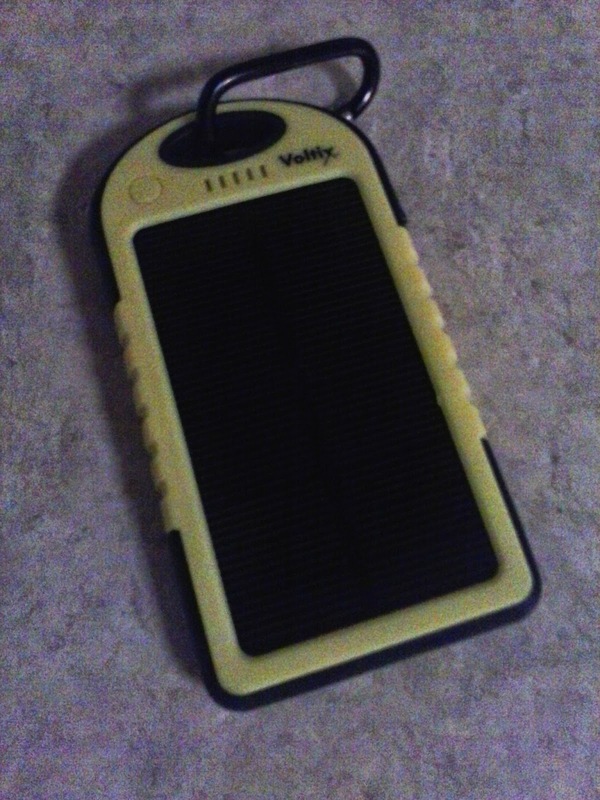 Most recently, he bought each of us a solar charger to keep our stuff going in the event of a power outage. Had that recent massive solar storm taken out the earth's power grids and all things tech, it might have killed us. 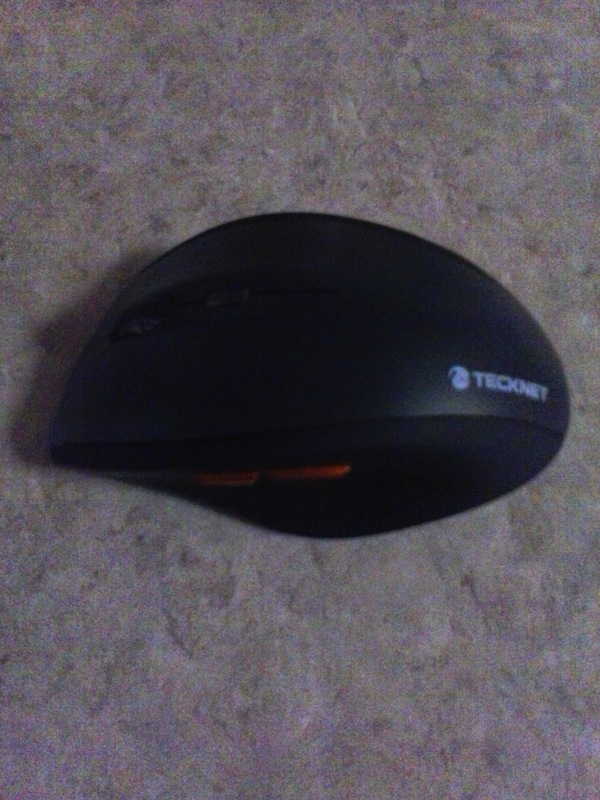 When I had trouble navigating my Windows 8 tablet, he got me a Bluetooth mouse. Problem solved. But the best find of all came quite by accident. A couple of weeks ago, we spent an afternoon at Five Below. They have some really great stuff--tablet cases, waterproof phone cases...and headphones. Using earphones has always been a problem for me. Once upon a time, I had Bluetooth for my phone. I couldn't keep it in my ear. I'm still not sure what I was doing wrong. I like earbuds, but they tend to fall out. Again, I'm not sure what I'm doing wrong. 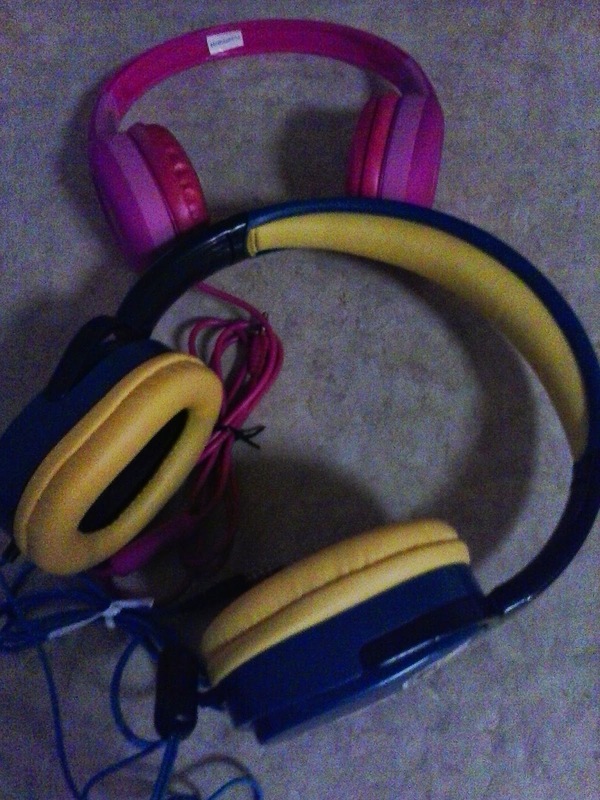 Five Below had something I had used a long time ago--large, padded headphones. There was quite an assortment--different brands, a multitude of colors. Collin and I each got two. It wasn't until we got home that I discovered these headphones weren't just for listening to music and audiobooks--they also worked for talking on the phone. There's more, but I'll get back to that discovery in a minute. Here comes the ugly. For some reason, my entire Audible library had disappeared from my Kindle Fire HD. After a few choice expletives, I got on live chat with an Audible rep. This shows just how desperate I was--I hate chat almost as much as I hate talking on the phone. Both are considered last resort methods of communication in our house. The chat went nowhere, and I was transferred to an Amazon rep, since the problem, they said, was in my Kindle. The Amazon rep informed me that the problem was that my Kindle had been de-registered. De-registered? I knew that wasn't possible. I use it every day. I had just downloaded a new Audible book the day before. In fact, I had just gone through the naming process. Yes, for those of you who have never done this, there is a way to name your devices. Most of mine have Minion names, except the Windows tablet. That's Rocket, so named in honor of the trigger-happy raccoon in Guardians of the Galaxy. I fired off an angry email to Audible, telling them I did not want to get a phone call. I did not want to chat. I just wanted my audiobooks back on my Kindle--or I would cancel my membership. It wasn't long before I received an email from a very helpful tech who gave me detailed directions for restoring my library. Collin followed the instructions, and my books were back in minutes. I know some people are still skeptical about ebooks, but this just made me more certain of my choice. Twenty years ago, I lost 90% of my books, mostly hardcover. It would have cost me a fortune to replace them--which, at the time, I didn't have. So, my books were gone--until the Kindle came along. My audiobooks may have disappeared from my Kindle, but they were never really lost. I got them back at no further cost to me other than the stress that had my blood pressure shooting into the stratosphere until the problem was resolved. Now, back to my unexpected headphone discovery. As some of you already know, my new publisher is going to re-release all of my backlist in print and ebook format--but there's a problem. Most of those books were written on a typewriter, which meant there were no digital copies of the manuscripts. I no longer had the typed copies, either. This meant Collin and I would have to scan the pages and use an OCR program to produce a Word document for the publisher. That's time-consuming and after full of errors. Or I could retype everything (even more time-consuming). Or I could dictate the text into the computer--where do I begin to explain why that wouldn't work? I do most of my writing on my phone or tablets. My phone does have a text-to-speech option, but the results are mixed. As I sat at McDonald's waiting for Collin yesterday, I started to think. If the headphones worked for the phone, why not for dictation? It was worth a try. I started small, sending Collin a dictated text. It was perfect. As it turns out, my cheapy headphones ($1.99 at Five Below) produce flawless text from my dictation. This might not take forever, after all. Ha! This is all very cool. I love that they were two bucks. We needed a backup set and paid I think six bucks but I like the idea of two bucks, much better. Glad you found a way to get your books dictated. We actually bought four. Two of them were $1.99 and the other two were $5. What amazed me was that I could dictate at McDonald's with music playing and people around me talking, and it still produced text without any errors. That's a great deal. I think we have that store up in Erie. I would love a backup pair when me. Love the music and people and without any errors. Dictation would be much easier on your blood pressure, and that is a good buy. And fortunately the Kindle issue got sorted. That's the best thing about a digital library--nothing is ever really lost. What a great discovery! I'm sure there all all sorts of things techie stuff does that I'm not aware of. It's always a thrill to find one of them! Collin's the one who usually finds them...but then, he's always looking for them! Those headphones also keep your ears warm? You must speak very clearly and you'll be done in no time! They did keep my cap on in the wind the other day! 1.99 Wow! I bet that's the best two bucks you've ever spent Norma, fantastic! Definitely! I'm planning to go back and buy a couple more...just in case. De registered?! Oh, for crying out loud! Glad it turned out well. That was the weird part. Amazon was showing it as de-registered, but it was showing registered on the device itself. Amazon, of course, refused to admit they were wrong. I love my Kindle. I need to get one of those thingies in case of a solar storm NASA issued a recent warning that they're expecting a few to hit the earth this year. We've had one hit already and another coming. A really big one could sent us back to the stone age. If you have Netflix streaming, look for a documentary titled Secrets of the Sun. Scary stuff. I have to use the old fashioned large headphones. All the other ones hurt my ears. Just bought some new ones... must check to see if they are as fabulous as yours. That's always been my problem. I don't even wear earrings, except in professional photos. I have a love hate relationship with technology! So do I...but in the end, it makes my life so much easier! Craziness abounds in the digital world. Unless you are like five years old. Then it works flawlessly. Happily I have that age of grandchildren so when I have a problem, I know who to turn to. But I don't have anything near what you have for tech devices. Whew. I never have to worry. I have Collin!